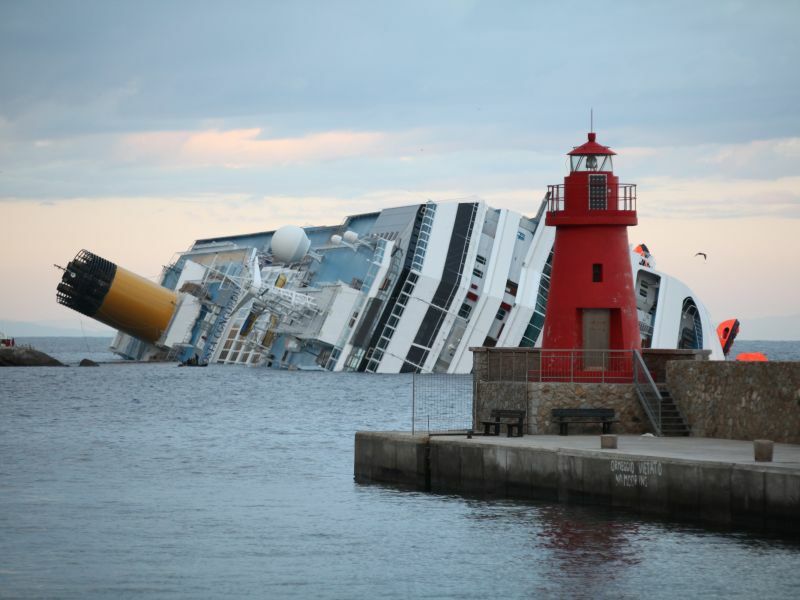 Rescue efforts continue as hope dwindles to find anymore survivors inside the grounded cruise ship Costa Concordia. Divers used explosives to blast holes in the vessel’s hull to gain access to areas of the vessel that had not yet been searched. Rescuers pulled five bodies making the death toll to 11. All five (4 men and 1 woman) were wearing life jackets. There may be another 15 to 20 people still on board the capsized vessel as the number officially missing may be more than originally assumed.